The Arizona Department of Transportation (ADOT) is celebrating the success of one of its newest divisions in an inaugural national competition that honors the best projects in the management and operation of state highways. 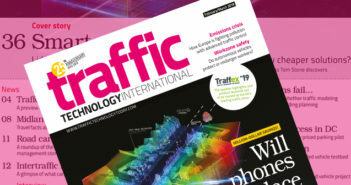 The USA’s National Operations Center of Excellence (NOCoE), a partnership between the American Association of State Highway and Transportation Officials (AASHTO), the Institute for Transportation Engineers (ITE), and the Intelligent Transportation Society of America (ITS America), with support from the Federal Highway Administration (FHWA), recently announced the winners of its first Transportation Systems Management and Operations (TSMO) awards for creative and cutting-edge initiatives that have saved lives, time and money. Although it was only created three years ago, ADOT’s TSMO division won the top two honors in the Best Project award (Creative Solution) category. Under its jurisdiction, the new division includes a variety of traffic safety and operational programs, including roadway-safety improvements, traffic-signal systems, pavement conditions and crash response. 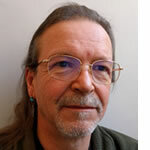 It also includes technology used to manage congestion, such as overhead message boards and closed-circuit cameras operated from the agency’s Traffic Operations Center (TOC). 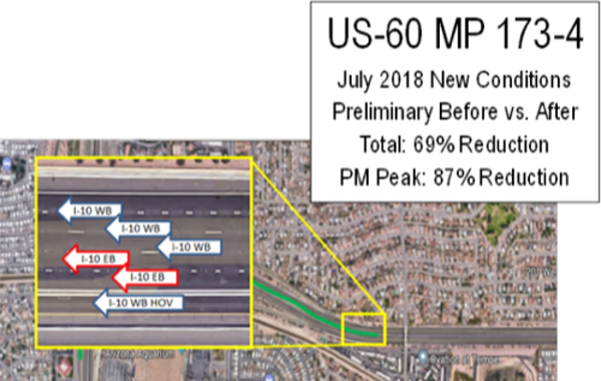 ADOT won the NOCoE’s Best TSMO Project award for lane adjustments and new signs that have improved traffic conditions and dramatically reduced minor, rear-end crashes on westbound US 60 (Superstition Freeway) in Tempe approaching Interstate 10. Completed in July 2018, the project changed lane striping to allow a second left lane to eastbound I-10, complemented by new signage, and has dramatically improved overall traffic flow in the freeway’s left lanes. Compared to the five years before this improvement, crashes in the lanes have declined by 90% during afternoon peak hours. 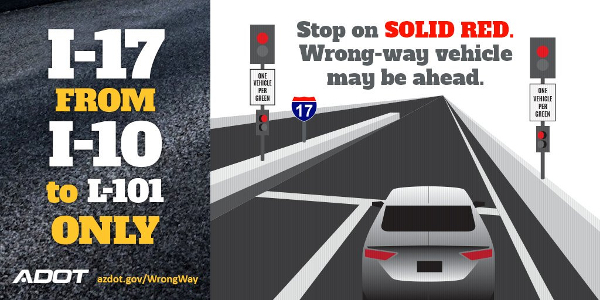 ADOT’s TSMO division partnered with the City of Tempe and the Arizona Department of Public Safety (AZDPS) law enforcement agency to study and implement the US 60 safety measures. 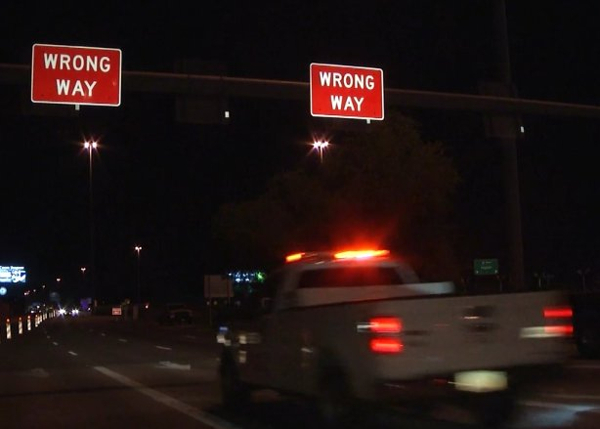 ADOT won the runner-up award in the same category for its pilot system using technology to reduce the risk from wrong-way drivers on 15 miles (24km) of Interstate 17 in Phoenix. The NOCoE jury also recognized ADOT’s stationing of an AZDPS trooper at its TOC in Phoenix as part of a comprehensive response designed to help law enforcement respond faster to wrong-way incidents, rather than relying on 911 calls from other motorists. 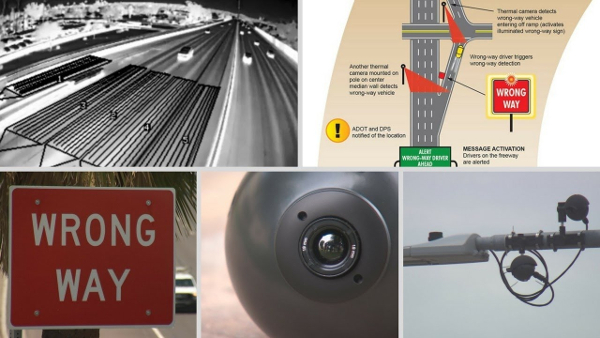 Since it went into operation in January, this system, using thermal cameras to immediately alert ADOT and AZDPS, has detected more than 40 wrong-way vehicles, most of which turned around on ramps without entering the freeway.